USD is being supported due to the US consumer price index and Yellen’s comments. 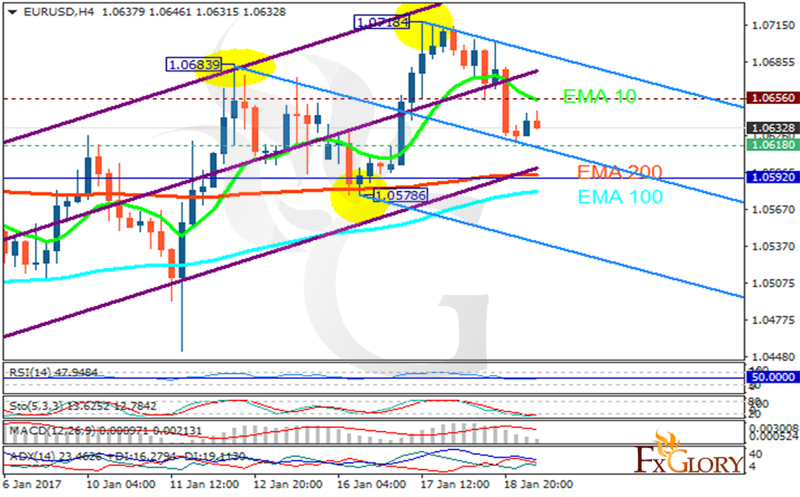 The support rests at 1.06180 with resistance at 1.06560 which both lines are above the weekly pivot point at 1.05920. The EMA of 10 is moving with bearish bias but it is above the EMA of 100 and the EMA of 200. The RSI is moving on the 50 level, the Stochastic is moving in its minimum rate and the MACD indicator is in positive territory. The ADX is not showing any clear signals. The pair will be fluctuating within Andrew’s pitchfork. At the moment it will rise towards the resistance area.